Are you prepared to survive the next chapter of Mad Head Games gruesome Maze series? It was supposed to be an easy demolition job, but as soon as you and your supervisor entered the dilapidated Gehenna Building, you knew something was off. Your worst fears are realized when you both become pawns in a twisted experiment where you must comply... or die. Will you succumb to the one behind this madness or will you fight back and gain your freedom? Uncover the conspiracy that shut down this once-beautiful utopian building and defeat the villain that's watching your every step in this suspenseful hidden-object adventure game. 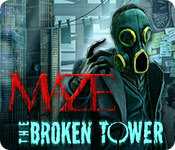 Maze: The Broken Tower is rated 4.6 out of 5 by 56. Rated 5 out of 5 by DominiqueO479 from Amazing Honestly such an immersive and wonderful game! I loved the story line and the graphics were on point. Would definitely recommend! Rated 5 out of 5 by kiki1689 from Wonderful!!! this game had me begging for more while scaring me with jumpy scenes! this game was great! 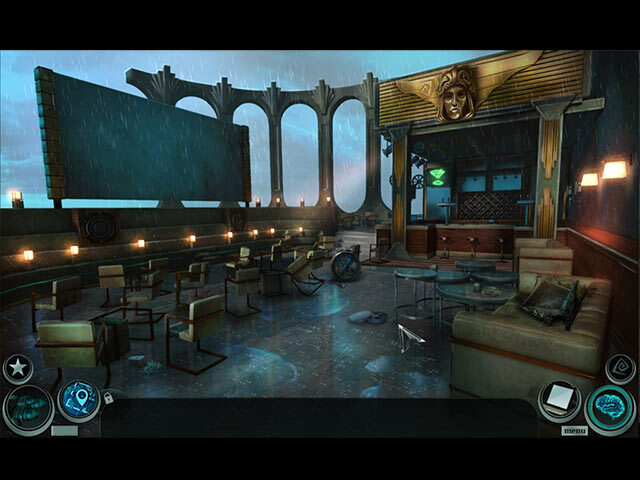 I avidly play Seek & Finds and this was so good I want and downloaded more games from them! Your sure to enjoy!!! Rated 5 out of 5 by juliedv5 from Brilliant game! Wasn't sure at first. The more you play, the more it became soooo entertaining. Kind of scary, I would not recommand the game for children. The storyline is A+. It is almost my 50th game and this one is absolutely brilliant. Rated 5 out of 5 by bluesycat from GREAT Game! I love games that are story heavy and this one meets this requirement. It was like reading a gothic novel. Interesting characters and many, many unexpected story twists. 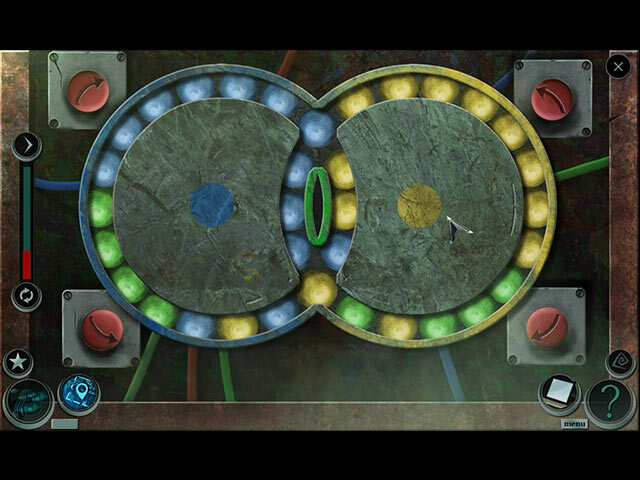 I did find most of the puzzles difficult to solve, so I skipped them. 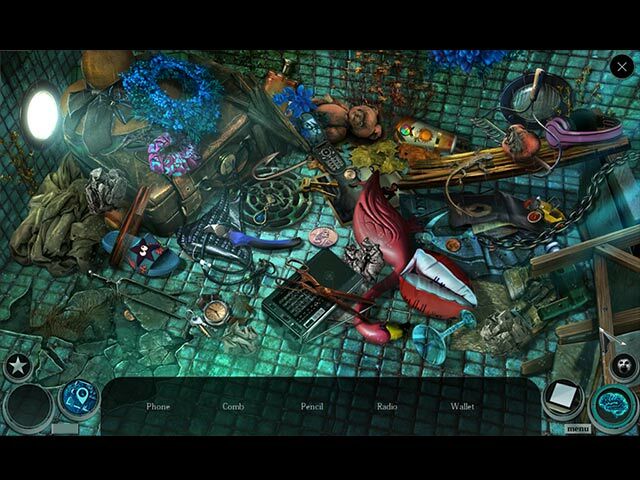 There were somewhat novel HOPs which images, rebuses, and other puzzles within puzzles to find the necessary objects. No problem solving these. But since I was playing the SE and not the CE, I wasn't worried about using hints. The map isn't great, but I hardly ever use one unless there are many clicks between scenes. This game has almost all of the navigation being nearby and making sense. Had to collect LOTS of items, but that also added to the game for me, having to remember what I was carrying around. I thoroughly enjoyed myself and was somewhat sorry to see it end. Rated 5 out of 5 by pedz69 from A little Scary, but unusual , interesting escape game An unusual adventure game with some scary moments and a great storyline. You're trapped very quickly in a deserted building and need to find various objects to find your way UP and out. There is limited help, but not a lot of locations to find that essential object. very good ending, and one of those games you want a friend to try and watch the frustration if a vital item is missed and they have to retrace steps. Rated 5 out of 5 by JulzCat from Ghost In The Machine! I was a big fan of the first Maze game, so I was super excited when this one came out. It didn't disappoint! You're trapped in a tower, being held there by artificial intelligence, and you have to use your wits to get out of it. This is definitely a story for our times, what with all the new AI coming out and the fears people have about them. My only critique is that the game seemed very short. You'll have no problem getting through it, though, because like most HO game nowadays it has customizable settings if you so choose them. Rated 5 out of 5 by CornishPyrate from Caught in the Tower adventure. You go in to inspect the tower for demolition but it is a trap. As you try to find your way out, you must deal with a vicious computer program and mind altering gas. The graphics are great, the HO's are never the same and the puzzles were a challenge. But only one frustrated me to the point of skipping. It was a different scenario from the others I've played and the story line was new. Great game, I recommend it. Rated 5 out of 5 by Yanie1020 from Finally, an Adult Game! Please give us more like this. In fact, make them even more gory and lots creepier. I get frustrated with all the games made for kids. Big Fish has plenty of those, so why not offer a few more that are strictly for adults? I had pretty much quit writing reviews recently, but I had to rave about this game. It's a winner! Rated 5 out of 5 by mohaganyeclipse from Yaaaas! I've been waiting for these folks to come out with another game ever since their '360' game! I only wish there were more of this genre geared for a more adult audience. I bought this one right away, I dont need to try it out to know that I'll want to play the whole thing.